Give a good mood is very easy! 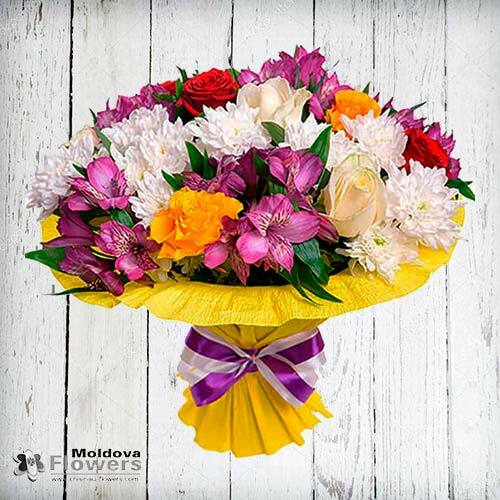 Presenting a bouquet you present a smile and undoubtedly will see the happiness in the eyes of your beloved because it is so priceless! Composition: 9 multicolored roses, 5 branches of white chrysanthemums, 5 multicolored alstromerias, greenery, decoration.